Not to be missed – a passionate and moving sequence of music and poetry reflecting on the plight of dispossessed peoples, and raising funds for GARAS – Gloucestershire Action for Refugees and Asylum Seekers. 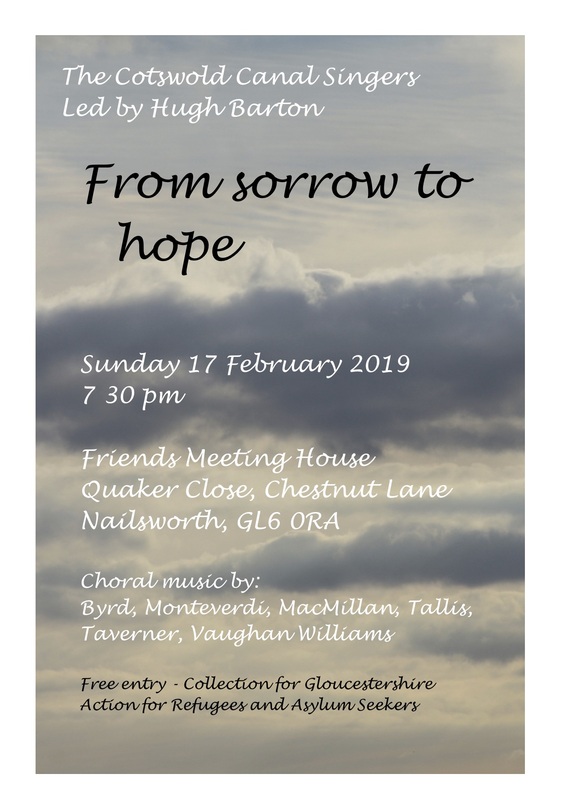 Including Thomas Tallis’ amazing Lamentations, and music by Monteverdi, Byrd, Vaughan Williams, Macmillan, Shepherd and De Vert, sung by the Cotswold Canal Singers under Hugh Barton. Poetry by (among others) Eliot, Levi, Zephaniah and Pink Floyd.